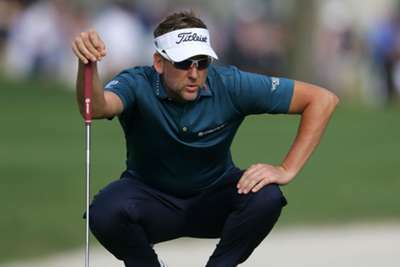 Ian Poulter will take a one-shot lead into the final round of the RBC Heritage after hitting the front on moving day. The Englishman, who this month won the Houston Open to qualify for last weekend's Masters, played some textbook golf en route to signing for a bogey-free four-under-par 67 after his third round. That left Poulter – who raced up the leaderboard with a 64 on Friday - on 13 under for the tournament, one stroke clear of Luke List and Kim Si-woo, the former - who also carded 64 a day earlier – having matched the leader's round, while the latter shot 68. Billy Horschel and Pan Cheng-tsung are a further stroke back, while Kevin Kisner shot the joint-low round of the day – a five-under 66 – to move into a tie for sixth. Six straight weeks of tournament golf. However, it was a miserable day for overnight leader Bryson DeChambeau, who slipped down the leaderboard to a tie of 20th after a forgettable four-over 75. The American's card included a triple-bogey eight at the second, after some poor course management, and double bogeys at the 13th and 17th holes to all but end his hopes of victory.